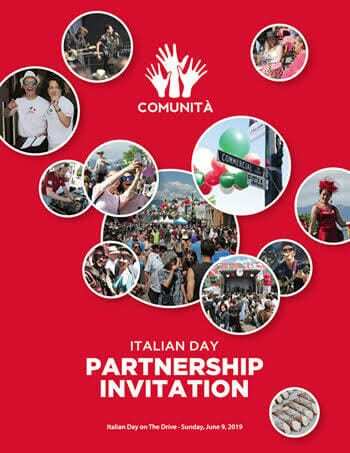 Thanks to the invaluable support of our sponsors and partners, we are able to share Italian Day on The Drive. Your sponsor contributions not only secure the festival’s return and goals, but also provides a premium platform for your organization to engage with a large captive audience, while receiving participation and marketing benefits. Once again, we are excited to offer new opportunities for 2019, and invite you to be a partner in the festival’s community embrace and success. 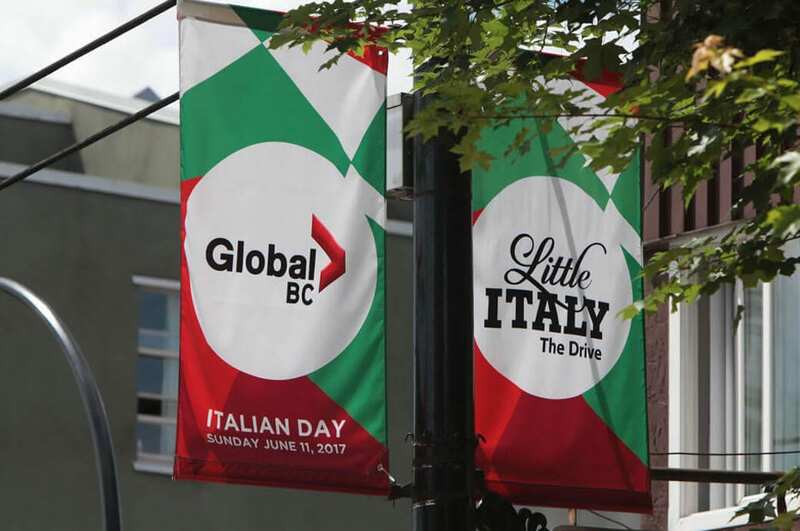 Italian Day offers you site space as part of your partnership, including opportunities to sponsor event attractions, activities and thematic piazza zones. Highlights among many include bocce court, fashion show, food contests, as well as attractions featuring Italian food and wine samplings, Italian music artists, and other cultural features. Sponsors too have the option of creating their own format of engagement on site, based on level of sponsorship and respective site space. Besides on site presence, as a sponsor you will receive visibility and acknowledgment by way of skyline street banners, which will include your unique logo on multiple banners installed in April over 22 blocks of Commercial Drive, announcing the event and all its sponsors. Sponsor banners remain up between the period of April – July, offering 3 months of visibility in one of Vancouver’s most photographed and high volume districts. In addition, we work closely with the Laura Ballance Media Group (LBMG) in reaching out to media partners and other media outlets to share event details via press releases, garnering editorial coverage on a multitude of media platforms for both the event and its partners.